← Secret of Hitting REALLY Hard! An hour of Martial Meditation = a Thousand Years of Evolution! in the person doing the yoga. though it does act like it is right. Which brings us to Matrixing. and therefore the you accept it. at a much faster rate. than the fellow who simply drives it. you get to where you are going. you will tend to look at the world in a logical manner. You will become better at solving problems. You will become a better worker and boss. You will become an artist. so let me take you where most people don’t know. you must put aside emotion. and you will feel the need to respond with emotion. emotion is motion inside the head. Bad emotion you must uncreate from even beginning. of one who is overwhelmed. you must defeat the distraction of memories. any conditioning of any kind. you must create yourself in the moment. do you laugh at the same kind of jokes? Don’t you realize that he laughed at jokes in his moment? And that you have an entirely different moment? That will change the type of jokes you might laugh at. not trapped by an education. do you view the world through a religious viewpoint? than to choose one religion over all others. willing to kill over a belief system. This one is incredibly tough. Can you accept and even use this fellow? that he is an idiot? don’t view the world as a fantasy. the world should be as you say. than all the oil pollutants of a gas car. on the way to the ultimate truth of yourself. they will still try to rule the world through their fantasy. Have you ever met a fellow without an opinion? And yet I am asking you to be one. Toughest problem you will ever encounter. and where it leads to. the way it should be manipulated. the desire to defend yourself. through simple exercises and drills. People think they can do this through any martial art. Yet nobody has ever succeeded. are merely manifesting their fantasy of the world. and don’t understand that they have no logic. They have only the fantasy of logic. They have only an opinion and no facts. So it has to be a matrixed martial art. 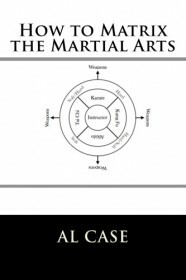 it has to be a logical (matrixed) martial art. through a simple hour of exercise. Matrix Karate starts the matrixing process. until logic outweighs fantasy in your mind. Then you will be off and running. don’t settle for an opinion. 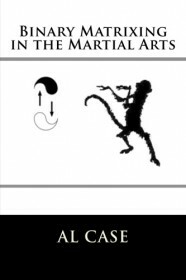 or the ‘How to Matrix the Martial Arts’ book. This entry was posted in freestyle, jeet kune do, martial art, shaolin, yoga and tagged praying mantis kung fu, shaolin, shitoryu, shotokan. Bookmark the permalink.